Herbivore animals do not eat meat. They eat only plants, grass, roots, leaves, etc. 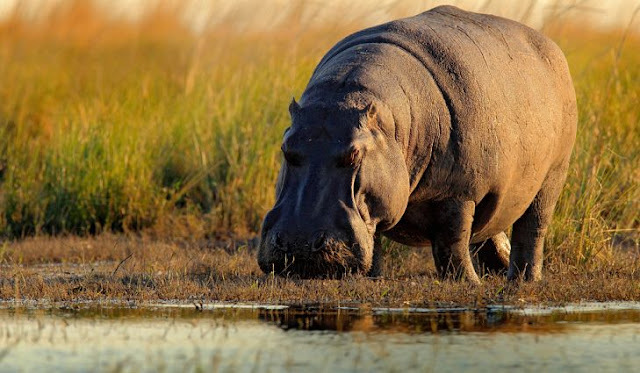 Here is the list of top10 Heaviest Herbivorous animals in the world. Although these animal's diets consist purely of Vegetation, this doesn't stop them from reaching immense weights. The diets of the herbivorous animals are different according to their different climates. The red kangaroo is the type of Kangaroo. Kangaroo is come on the 10th no. in our top 10 heaviest herbivorous animals list. 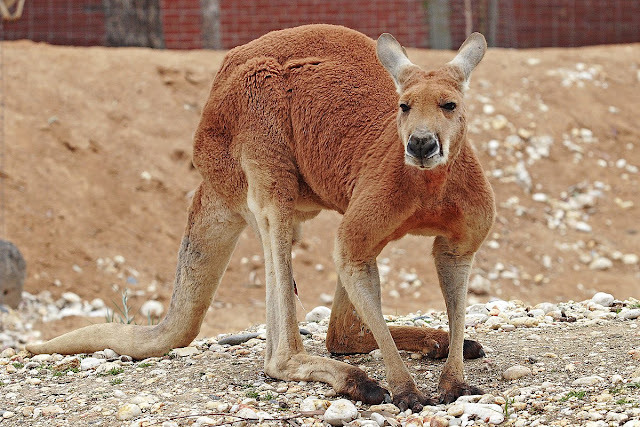 The total height of the Red Kangaroo is up to 2.1 m / 6.9 ft. And the weight of the Red Kangaroo is around 200.6 lb / 91 kg. Colour of the Red Kangaroo is reddish-brown. And the female Red Kangaroo is bluish-grey. They also have the bouncing power in their body. Red Kangaroo can jump up to 9 m / 29.5 ft. They live in a group of 2 to 4 members. Red Kangaroos are found in Western and Central Australia, scrubland, Grassland, etc. Diet of the Red Kangaroo is Green harbage, Planty of grasses in a different verity, Shrubs, Flowering Plants and Foliage. The fighting of the two young Kangaroo is known as Boxing. And that way human got Boxing game. Eastern Lowland Gorilla is the largest among all the Gorilla. And the height of the Eastern Lowland Gorilla is nearly 2 m / 6.6 ft. The weight of the Eastern Lowland Gorilla is nearly 595.2 lb / 270 kg. Adult male of Eastern Lowland Gorillas is also known as 'Silverbacks'. Because of the silver color hair on their backs. And the main color of Eastern Lowland Gorilla is brownish grey. The behavior of them in a group is very peaceful. 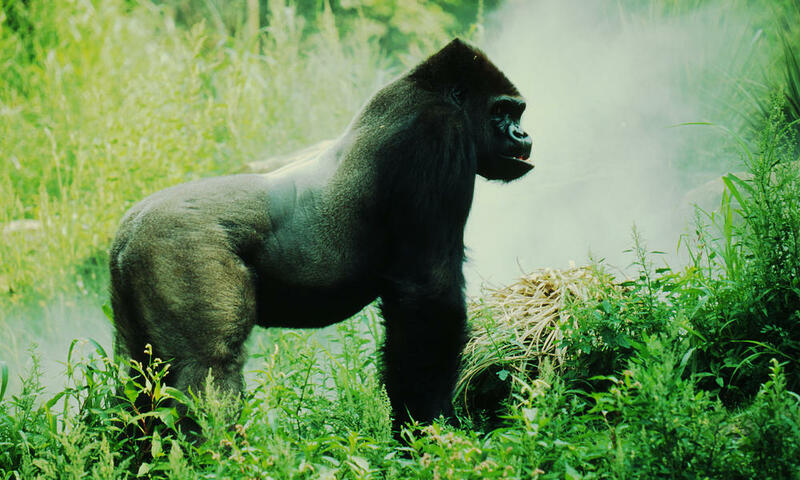 Eastern Lowland Gorillas are found in Lowland and Albertine Rift Montane Forest of the Eastern Democratic Republic of the Cango. they spend most of the time feeding on plants every day. Galapagos Tortoise is the biggest Tortoise in the World. And This animal comes on 8th position in the heaviest herbivorous list. And the weight of the Galapagos Tortoise is 919.3 lb / 471 kg. This huge Tortoise can live more than 150 years. Its name comes from 19 Galapagos Islands which they inhabited. When a Spanish bishop accidentally sailed the archipelago in 1535, the islands were named as such as because Galapagos is Spanish for 'tortoise'. They rest for around 16 hours a day and have the ability not to require food or water for a year. Males make kind of 'mooing' noise when mating. But females do not communicate with any kind of sound. 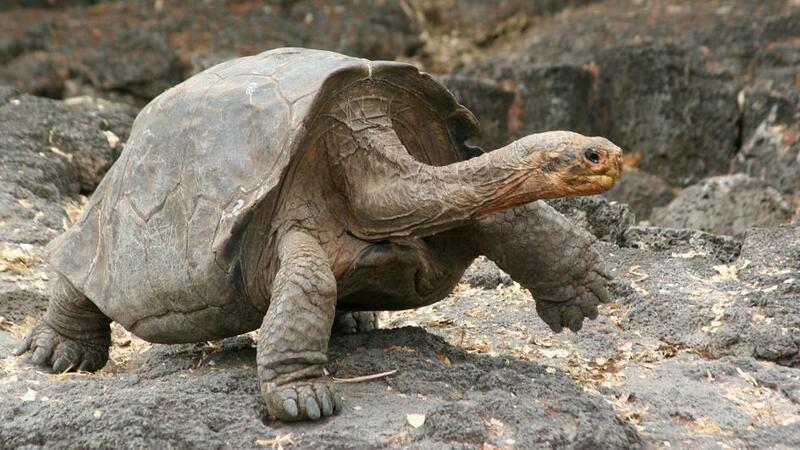 Nowadays the Galapagos Tortoise is found only in the Galapagos Islands. Galapagos Tortoise is herbivores so they eat prickly pear cactus, fruits, flowers, leaves, grasses, etc. They can leave without eating or drinking water for a year. Because they store food very well. Chukotka Moose is the largest and heaviest species in the Deer family. Chukotka Moose is also known for Siberian Moose. The height if the Chukotka Moose is nearly 2.33 m / 7.6 ft. They are the vegetarian animal. Chukotka Moose have the grey color. And they have two large keratinized hooves corresponding to third and fourth toe. 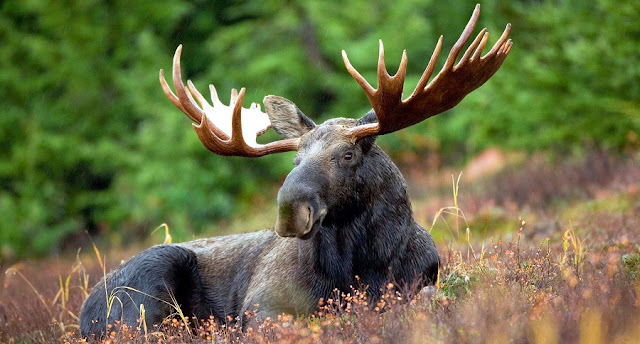 Chukotka Moose Found in Canada, Alaska, Northeast United States, Finland, Norway, Latvia, Poland, Russia, and Sweden, etc. Diet of the Chukotka Moose is mainly plant and food. And Mainly consist of forbs and other grasses, and fresh shoot s from trees such as Willow and Birch. Shire Horse is the largest horse in the world. The total height of the Horse is around 1.78 m / 5.8 ft. And the weight of the Shire Horse is nearly 3306.9 lb / 1500 kg. There are many color Shire Horse are available like Black, Bay, and Gret. And some of them got white markings on their face and on foot. Shire Horse comes from England. And the diet of the Shire Horse is any other horse. they eat oats, pellets, carrots, and apples. 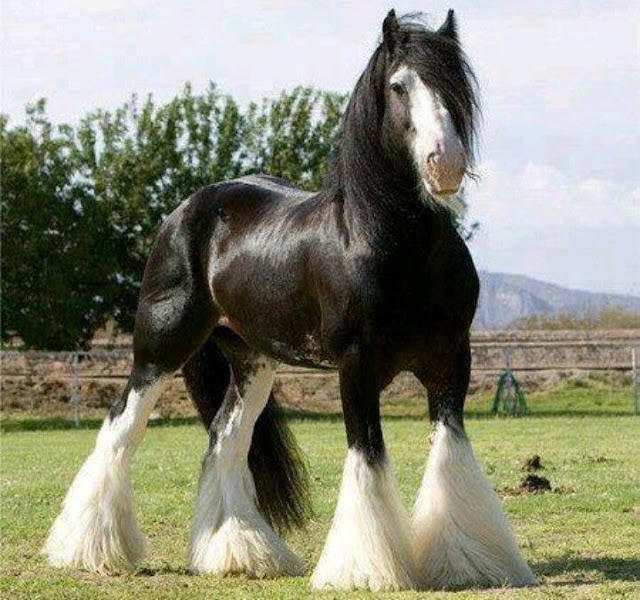 Shire Horse is mainly used as a draught Horse. In 1924 a pair of Shire Horse pulled 1,00,000 pounds / 50 tons weight more than the weight of the normal truck. Chianina is in the type of Bovine animals. Chianina is looks like a cow but it very big in size compared to other cows. 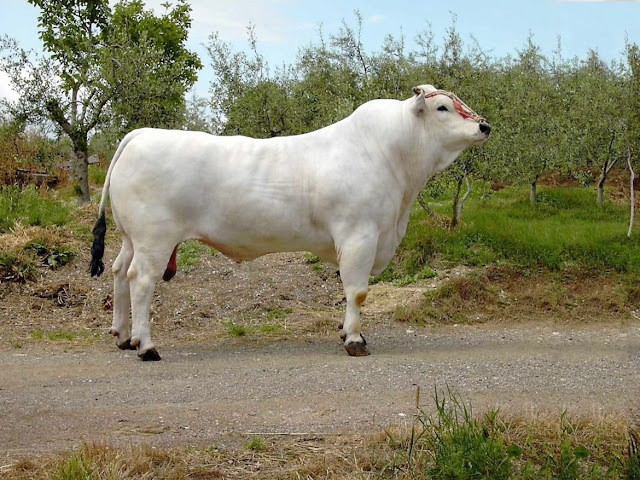 Total Height of the Chianina is 2 m / 6.7 ft. And the weight of the Chianina is around 3924.2 lb / 1780 kg. Fullblood Chainina has short white to the grey color hair on the body. And both sexes has black pigmented skin. Chianina is tallest, and heaviest breed of cattle. Chianina is found in Valdichiana, Tiber valley, Arezzo, Tuscany, Umbria, and Lazio. They are vegetarian animals. Chianina eats grass. Rothschild Giraffe is the tallest animal in our list. Rothschild Giraffe comes in the type of Giraffe. The total height of Rothschild Giraffe is 5.8 m / 19 ft. And the weight of Rothschild Giraffe is nearly 4254.9 lb / 1930 kg. Rothschild Giraffe has unique coloring. They have dark brown and dark Orange patches on their body. And area through being them. Rothschild Giraffe is the tallest creature on Earth. 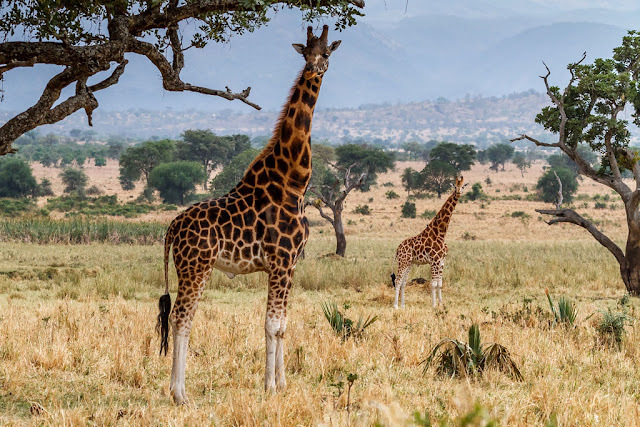 Rothschild Giraffe found in Savannahs, Grasslands, Woodland across Africa, Kenya and Northern Uganda. They eat leaves of tall trees like Acacia, Wild Apricot, fruits, and sprouts. At no. 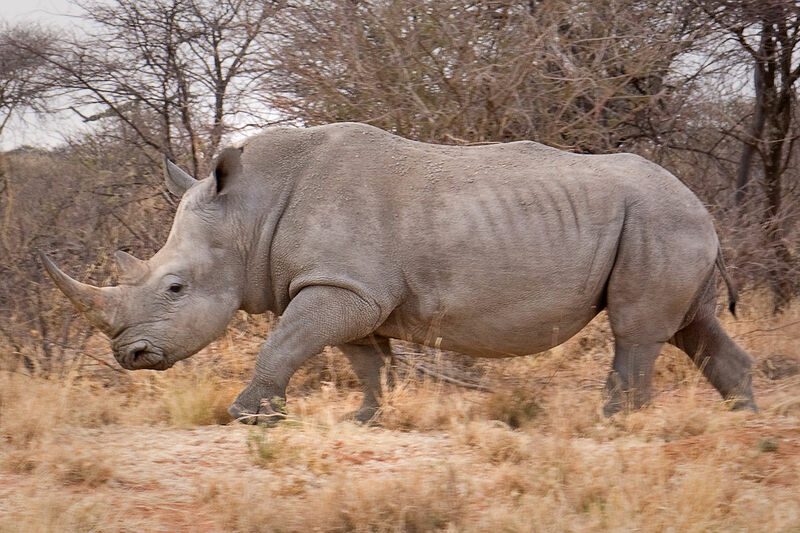 3rd we have southern white Rhino in our Heaviest Herbivores animals list. Southern White Rhino is the heaviest Rhino on Earth. Total weight of the Southern White Rhino is around 8818.5 lb / 4000 kg. And the length of the body is 4.5 m / 14.8 ft. Colour of the Southern White Rhino is greyish white. They have two horns on their snout. And the front horn is larger than the second horn. Southern White Rhino has the muscular humps that support his heavy head. They are found in South Africa, Namibia, Kenya, Zimbabwe, and Uganda. Diet of the Southern White Rhino is Grass, leaves of short trees. Common Hippopotamus is the heaviest Hippopotamus on the Earth. Length of the Common Hippopotamus is nearly 5.2 m / 17 ft. And the weight of the Common Hippopotamus is around 9920.8 lb / 4500 kg. They are the animal who only smaller to the Elephant. They have the drum-shaped body with small legs. And the color of the Common Hippopotamus is Brown. They are found in North America, Europe, Late Pleistocene, and Eemian. Diet of the Common Hippopotamus is Grass and Aquatic Plants. They are the very powerful animals. African Bush Elephant is the heaviest Harbivorus on the Earth. 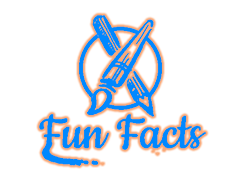 The height of the African Bush Elephant is 3.3 m / 10.8 ft. And the weight of the African Bush Elephant is 26455 lb / 12000 kg. They are the Biggest animal on Earth. 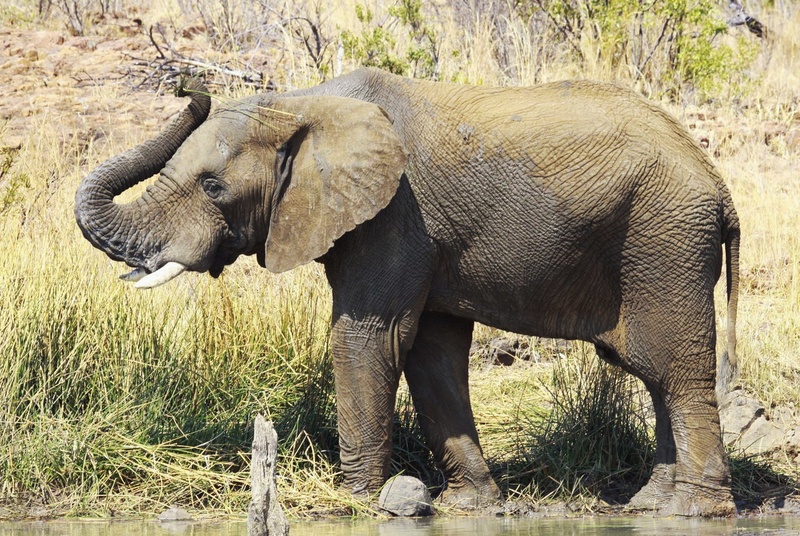 African Bush Elephant has the Grey or Brown color body. African Bush Elephant has long tusk. The size of the tusk is up to 11 ft. They are found in most of the African Countries and also in Savana Desert. African Bush Elephant also called an African Savanna Elephant. Diet of the African Bush Elephant is Plants, Herbs, Shruberry Trees and Grass. So this is information about the Top 10 Heaviest Herbivorous animals in the World. I hope my article helpful for you, please don't forget to shear and comment your thought about the Top 10 Heaviest Herbivorous Animal in the World. Thank you!